What is a thesis? A thesis is a write up written as an extensive research and study made on a particle field or subject of study. This research will reveal your expertise in the field or subject of study. One writing a thesis requires pattern or format of writing, it has to be unique and the structure should be maintained. By availing expert journal article editing services, a thesis can be edited and checked before its final submission. Besides formatting and structuring, the language used throughout the paper should be formal, its content should be high-quality, and it should follow punctuation, syntax, grammar, and other linguistic rules to help readers understand the content and to reflect the author's expertise. A well written journal article, thesis, or dissertation will stand on its ideas and research, and not on the author's command of the English language. Writing a thesis, you must know what format to use. Regardless if you are writing it in APA, CSE, Chicago, or MLA style, writing is divided into three phases-writing the thesis, cross checking issues, and editing. According to journal article editing services, a thesis should be divided into sections: These sections are methods, results, discussion, conclusion, recommendation, acknowledgements, references, and appendices, the title page, abstract, table of contents, list of figures, introduction. Various phases of creating a comprehensive thesis paper. While the structures are maintained and it is a part of formatting and structuring, a student or a research fellow should write his/her thesis in flawless language. Not only the flow of content is to be followed here, one has to maintain its mechanical parts like consistency of spelling, accuracy of spelling, accurate use of grammar, and all through right syntax of sentences. Cross-checking is another vital issue related to writing a thesis. In this stage, the entire thesis should be revised. Besides checking the flow of content, this phase includes verification of the document's order, figures, tables, quotes, resources, and grammatical editing. 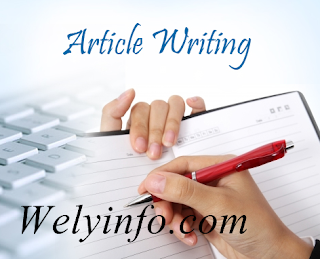 In this Step you will finalize everything by hiring a journal article service. Here an expert copy editor reds through your written thesis and edit your work. Great! I really was educated.